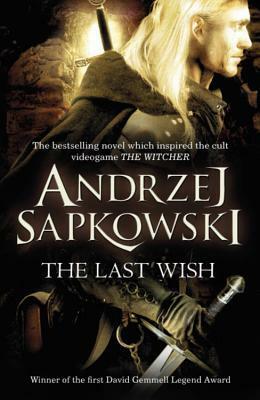 The Last Wish Andrzej Sapkowski. Gollancz, 2008. Paperback. 288 pages. I may not have ever played the video game The Witcher, but I have heard a lot about how great it is. I have also heard - multiple times - that the books they are based off of are incredible, and since I enjoy reading (go figure), I decided to I wanted to try them! The Last Wish is recommended as the best book to start with for The Witcher series, so that is where I began. This book is formatted as a series of short stories or episodes featuring Geralt, the main character and a Witcher himself, as he goes on various adventures and battles various beings. These stories are not strictly connected by any strong plot line, but they are all still generally connected. Because of this format, and the stories themselves, I can easily see how this was converted into a video game. The Last Wish carries with it an almost fairytale-like quality in how it is written, as it seems to combine some traditional legends and ideas with fresh, surprising ones. This book seems like such traditional fantasy with creatures such as djinns, harpies, vampires, the undead, and many others, but it also takes a bit of a spin on your classic fantasy and adds fresh takes and ideas. It is set in what is obviously some sort of European setting, which is fairly common in many high fantasy books, and the culture and mythology that it embodies is largely Slavic, from what I have gathered. I became extremely fond of Geralt's character throughout the many stories. He's a rather quiet, reserved man in nature, but don't mistake this for shyness or an aversion to being noticed. He's extremely resourceful, witty, and sharp, and he makes his opinions known when he feels it is necessary. Geralt also seems to carry a little bit of angst with him on his adventures, which certainly adds more depth to his character and, for me, amped-up the intrigue on who he is and what his backstory is. In general, I found the notion of a Witcher extremely interesting: they are not fully human and are trained through extreme measures to be killers of monsters, beasts, and strange mutant beings. They are not meant to be evil beings however, and they do in fact have a 'code' that they try to follow. Geralt, for instance, will only hunt and track monsters that are causing harm or chaos to people. I am not normally a big fan of short stories, but these stories were so captivating. I loved adventuring with Geralt as he explores various areas and comes across monsters, takes up contracts from people who want him to rid them of a nasty monster, and many other setups. And if you're wondering if this fantasy has any magic in it, it absolutely does. The writing was surprisingly readable and enjoyable for me, though I do think that the fact that it was translated from Polish resulted in a few awkward areas. There were definitely some bumpy areas that left a little to be desired, but knowing that it is a translated work and having read other translated works, I am fairly certain that that is the cause. Overall, I have given The Last Wish four-and-a-half stars! I will definitely be picking up more books in this series this year.